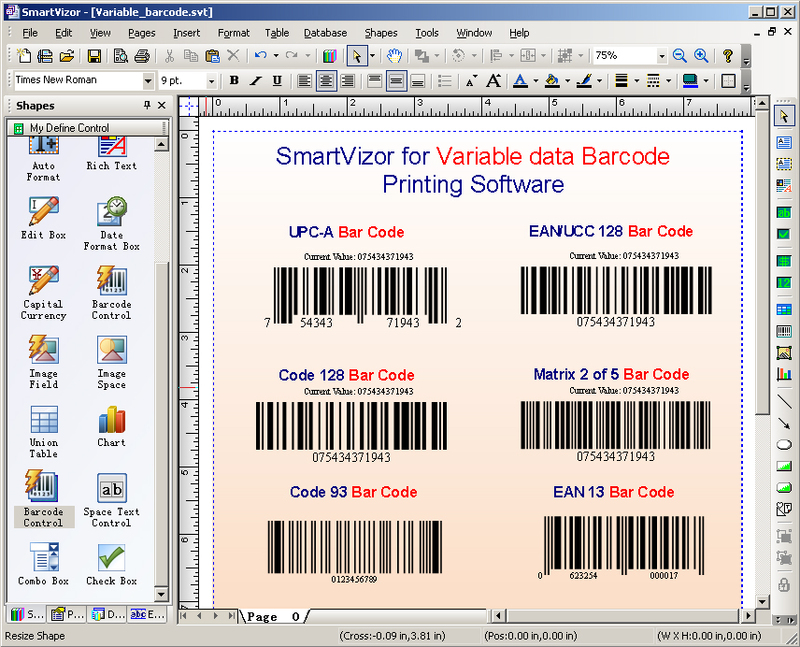 SmartVizor is a stand alone,powerful and extremely easy-to-use variable data barcode printing software that runs on a Windows computer. It is one of the least expensive full-featured batch label printing solutions available today.You can use almost any database format with SmartVizor?? ?Dbase (.dbf),Microsoft FoxPro (.dbf),Paradox (.db),Microsoft Excel (.xls),delimited ASCII (.csv, .txt).SmartVizor also provides ODBC. You can use almost any database format with SmartVizor ??? Dbase (.dbf), Microsoft FoxPro (.dbf), Paradox (.db), Microsoft Excel (.xls), delimited ASCII (.csv, .txt). SmartVizor also provides ODBC support, so you can connect directly to your database and use SQL statements if you want to. A stand alone,powerful variable data printing application. barcode printing tool is capable in 24 barcode Fonts' labels, stickers, ribbons. Qweas is providing links to SmartVizor Variable Barcode Printing 14.5.120.218 as a courtesy, and makes no representations regarding SmartVizor Variable Barcode Printing or any other applications or any information related thereto. Any questions, complaints or claims regarding this application SmartVizor Variable Barcode Printing 14.5.120.218 must be directed to the appropriate software vendor. You may click the publisher link of SmartVizor Variable Barcode Printing on the top of this page to get more details about the vendor.